This is my first retopology, of a character modeled with Sculptris, I used some photos of real rats as a reference for the body, while for the shape of the head, I was inspired to this drawing "http://meyeranek.deviantart.com/art/Rat-100137659". HGFreeInHell (3 years ago) Inappropriate? the links are in description. Then, would it be possible to release a separate version of this exported via U3D? Some of us don't care that this would make it impossible to hide the whiskers or that the result would be a single, lowpoly mesh, as long as it would have the textures applied, so we could actually import it into our flavor of 3D software. This is an amazing model! Too bad the files are so flawed they're almost unusable. Is there a chance you could clean up the model and try exporting again? The .FBX is probably not more …This is an amazing model! Too bad the files are so flawed they're almost unusable. Is there a chance you could clean up the model and try exporting again? The .FBX is probably not rigged because Cinema 4D uses "joints". One must first convert joints to bones before export. And to do a good job you use the weigh tool to clean up the auto-weighting of the mesh to bones. famjaes (7 years ago) Inappropriate? Looks like something from a Stephen King novel-maybe Night Shift. My favorite. I LOVE this beautiful rat you've created. Thank you so very much for sharing this. dessi jatt (7 years ago) Inappropriate? This is awesome. Too bad it isn't rigged for Poser or DS I would definitely lay down cash for it. Zed (8 years ago) Inappropriate? wow. amazing work. brutal and very detailed! 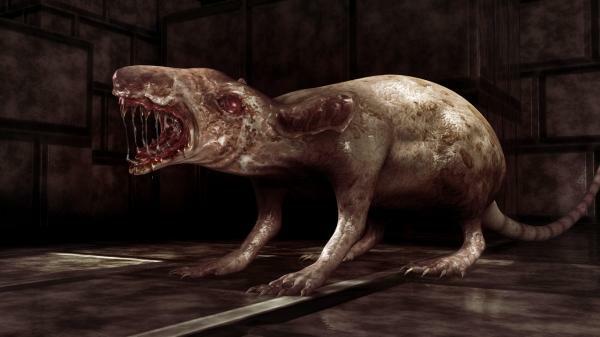 this is perfect for me, i was looking for an undead rat and this will do just fine! thank you so much. quicksand033 (8 years ago) Inappropriate? gearboy (8 years ago) Inappropriate?